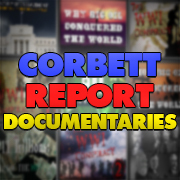 Description:This week on The Corbett Report we present a special audio and video edition of the podcast/vodcast. This week we delve into the true history of the illegal NSA wiretap program and how it connects to the bigger picture of government surveillance. Description: Begin watching the YouTube video version of this episode here. Description: The New York Times article that broke the story in December 2005. Description: Reporter talks about how the story came to be published. Description: Use the references, not the spin. Description: Online civil liberties group that has been fighting the NSA wiretapping program in the courts since it was first revealed. 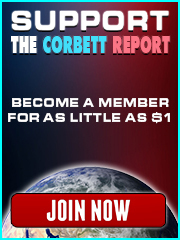 Description: The Corbett Report talks to Rebecca Jeschke about the EFF’s legal battles against the NSA wiretapping program. Description: Obama is worse than Bush. Description: Features the story of Mark Klein, AT&T whistleblower who revealed the existence of Room 641A. Description: Read the legislation online. Description: Information on EFF’s problems with the troubling possibilities for internet spying with recent changes to CALEA. Description: Part of a PBS documentary on gov’t spy programs. Description: We talk to John Young about government surveillance. We also have a lengthy discussion about the Wikileaks phenomenon. Stellar Wind Inspector General report from 2009 has been declassified.